I could have just as easily named this ‘Leadership’ but I thought I could attract more readers with what appeared to be a provocative title. At least until people read it and realized it was all about passion in business (a cheap trick but a man’s gotta do what a man’s gotta do). Rather than try to define what I am talking about I will rely on the old Supreme Court approach when they balked at defining obscenity and Justice Potter Stewart simply said, “I know it when I see it….” So it is with several things including what I am talking about – passion. 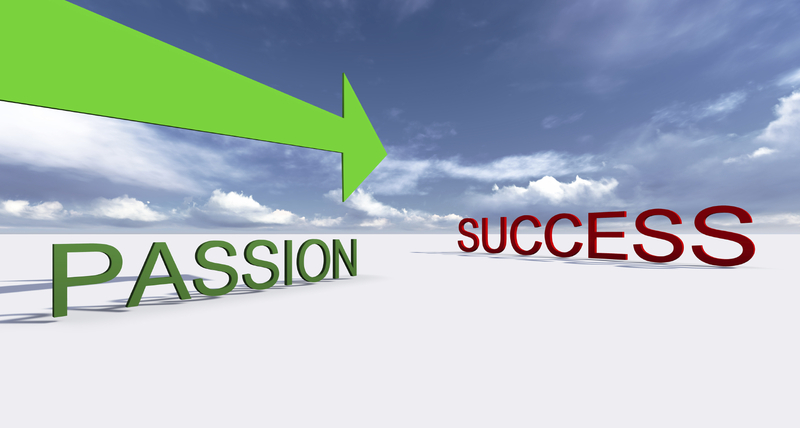 There have been no shortages of displays of passion – especially in speeches – that have illustrated the role passion plays in leadership. I would be remiss to not mention (in no particular order) Winston Churchill (“I have nothing to offer but blood, toil, tears and sweat.”), John F. Kennedy (“Ask not what your country can do for you….”), Mahatma Gandhi (The “Quit India” Speeches) and Martin Luther King (“I Have a Dream”). It strikes me that proposing you watch these (and many other) examples of (political/social) passion is taking the path of least resistance to make my point. We are all aware of great politicians, orators and religious leaders but where else might we look to ‘see’ a definition of passion. I will put my personal touch on this matter and focus on a little used forum to illustrate passion. A quick background here: Two of my lifelong passions are classical music (just to be clear, listening not performing) and business (order of these two is still TBD). As I thought over the years about the above and how they overlap I thought about the conductor as a leader. Note the conductor does not make a sound – he is all about enabling the sound of others. You say music – I say business! Think about it. The conductor is coordinating numerous individuals, many of whom are not without egos (these are virtuosos in their own right), to execute a very complicated and extremely precise plan. From another perspective, the conductor needs to make beautiful music but does not say a word personally. Even if you are not a music person I believe you get the picture. To add to the situation, I recognize that while every conductor has their own style on how to get what the composition calls for, the great ones share one characteristic – passion. It takes many shapes but passion is unmistakable. In this context, I have come across a very witty look at comparative management (leadership) styles among conductors. ITay Talgam spent a decade as a conductor of orchestras but is now known as a “conductor of people” as he teaches leadership to everyone from Fortune 500 companies to universities. In 2009, he did a TED Talk titled “Lead Like the Great Conductors” which, incidentally, is fascinating even as a standalone lesson in management. I don’t want to (nor could I) preempt his presentation by telling you what you are going to see but I am sure even if you are not a classical music aficionado you will recognize descriptive adjectives consistent with Kirchner Group’s Business Brain Model. I heard a lot of words (mind you good words), all of which have appeared in earlier posts like – “enabling” – “storytelling” – “have a plan” – “partnership” but what I want to illustrate in the best Supreme Court approach are examples of passion. One (other) reason I think this is so appealing is because he leaves the best (Leonard Bernstein) to last. If nothing else watch the very last clip of Bernstein, which perfectly illustrates when you have confidence in your team and vice versa. Kind of a “look Ma no hands” school of leadership. For those wanting an advanced ‘definition’ of passion watch Bernstein in (at least) one of the two videos below. Watch particularly the final movement in each – after more than a half hour of fierce, intensity, anxiety, and frustration – take a look at what he shares with his team. All I can say is – imagine if your team thought (saw) that you cared so much about them and their performance!! Any hint this guy is doing things because it’s just a job? Or to make a shareholder happy? You don’t need to know anything about classical music (or conducting) to recognize a passionate leader when you see the mental and physical energy Bernstein puts in and the obvious training/coordination of his musicians. At one level, it is all about the passion. But at the next level (especially for an aficionado of orchestra music) you appreciate that this is a master of his skills (he is collaborating with every musician in individual ways). Talk about empowerment, mutual trust and respect. Talk about leadership personified thru passion. I have put my (illustrative) stake in the ground in a somewhat unorthodox context – classical music. I have at least acknowledged some other sources of inspiration when it comes to passion. Now, I invite you to step up with inspirational stories of passion that translates into leadership. Is it someone you work with? Is it someone you’ve heard about? Is it a video you’ve watched? I am always looking for more inspiration so please share what inspires you. Anyone who has followed this can likely guess my opinion. Astute readers will recognize I have started this series (subconsciously) from an emotional angle – now I will follow up in the next post with an appeal to the other parts of the brain. Sound familiar?